Read our great client reviews below! Paul is an amazing photographer – prompt, professional, polite and most importantly his work is top notch. Also, his rates are extremely reasonable and he gets the photos back in a very timely manner, way before most other photographers. He seems ahead of the curve here in Pittsburgh, he does artistic type shots, and gets angels of homes that other photographers don’t. I truly believe his work drives more people to see homes and I would highly recommend him to anyone! Paul and Shannon are amazing. They always make my listings look amazing. I refuse to use any other photographer because no one else offers the same level of photos and videos. Every listing Paul has done for me so far has gone to multiple offers. His work stands above and beyond anything else. Paul’s professionalism and dedication is admirable and I truly appreciate the opportunity to work with him. As a real estate agent, a reliable photographer/videographer is a meaningful part of creating a professional listing presentation for my clients. Paul did an excellent job, compiling a beautiful portfolio of pictures, video clips and drone footage of my listing. Highly recommended! Paul has been wonderful to work with! With drones, a Realtor can now capture a bird’s eye view of the property & showcase creative close ups. With the work of his photography/video skills, it has brought our marketing to a whole new level! Paul is amazing to work with. He has an amazing passion for the business and it shows with his work. I have received tons of compliments from clients, other agents, and Buyers on my photos, aerial photos, and videos Paul has done for me. You can’t go wrong! Paul is an excellent choice for any of your photography needs. He is prompt, professional and reasonably priced. Best of all is that his work is of the highest quality. I highly recommend Paul. Absolutely outstanding, professional work & fantastic to work with. Highly recommend! 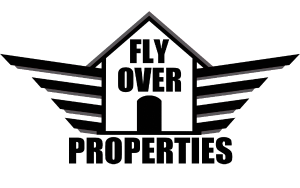 I call Paul at Fly Over Properties to photograph and video my listings. His keen eye for details and lighting is evident in the quality of his product. Paul is responsive, professional and a Pitt grad! Pittsburgh is home to many talented photographers but Paul is always my first call. I highly recommend Paul and Fly Over Properties. His work is top notch. Paul is professional, timely, quick to communicate and very talented. His work will take your listing to the next level. Don and I use Paul for all of our Drone photography and High Def photos. He does a fabulous job and our sellers love his work….helps our homes sell well, too! Paul is a great photographer! His photos always turn out great, he’s very professional, and he’s just an all-around nice guy! I recommend him to my fellow realtors all the time. Paul has always provided prompt and outstanding service. No doubt his professional photographs and videos have helped sell houses! He’s reliable and has never been late to an appointment…..definitely focused on customer satisfaction.